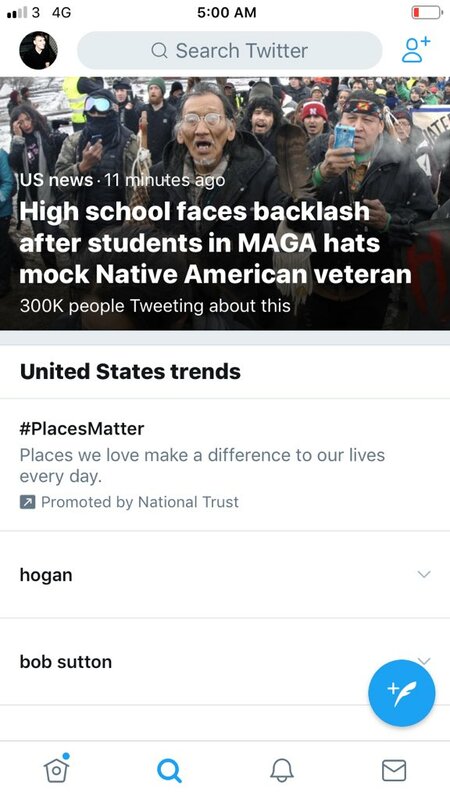 Twitter has assured its users that it is cracking down on the distribution of violent threats, but it did allow a barrage of attacks on the pro-Trump Kentucky students who were falsely accused of harassing a Native American protester. We reported on Friday that the media erupted with a snippet of video that they claimed showed a bunch of Trump hat-wearing school kids mocking a group of Native Americans. But after the truth emerged, this attack on the kids turns out to be 100% fake news.